Melba Johnson is a Stepping Stones success story! 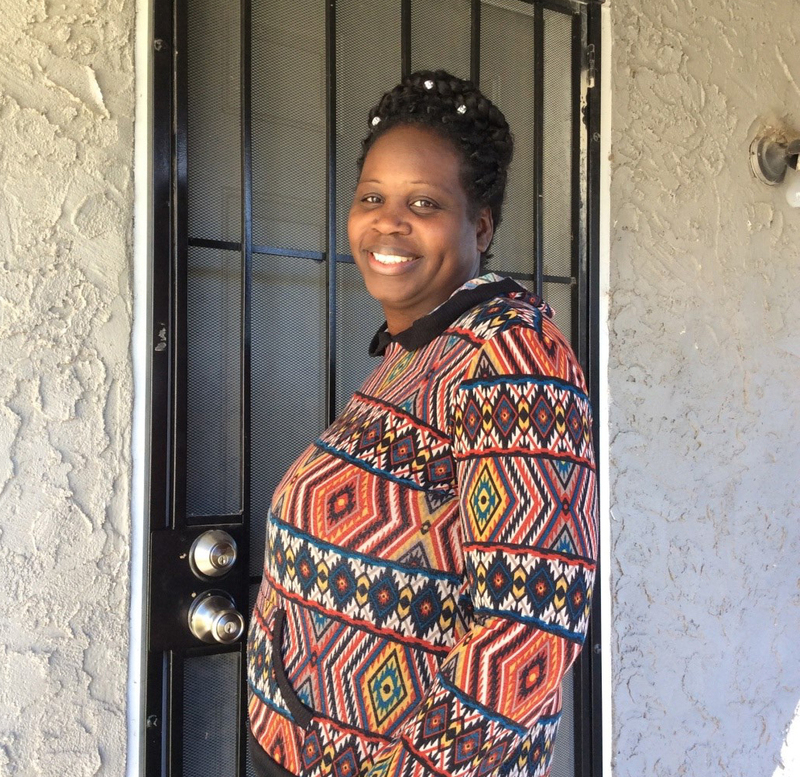 Since being in the program, she has housing and her family is thriving. The Supportive Services program helped her get the specific help she needed to overcome her obstacles to stability. 2016 was a rough year for Melba Johnson and her family. They were experiencing homelessness and she was working hard to get them into housing. Her efforts were met with disappointment. She admits to making some mistakes that made things more difficult, but she didn’t give up and learned from the experience. “I would do things differently and be more prepared to have a better plan,” she said. “My goals have now been refocused with the support of Stepping Stones. I can now return back to school and work successfully. Having a stable living environment has allowed my family to achieve their goals also. My 11 year-old son with autism is now receiving mental health services and my 13 year-old son is doing well in school. I am doing well mentally because I feel safe in my environment and am now managing my money better by paying bills on time,” said Melba.